Food is pretty much an everyday part of life, even in our favorite movies. It can also make a scene more memorable. Who can forget the classic spaghetti and meatballs scene between Lady and the Tramp? It was such an amazing moment that people duplicate it all the time. In Hook, with Robin Williams, the moment he starts to realize his old self is when they’re having an imaginary meal. Peter believes and suddenly, the table is filled with a fun assortment of colorful treats–that quickly becomes a messy food fight. 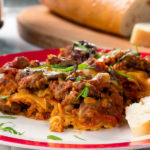 Since so many memories are made around food, I wanted to share some of my favorite classic movie-inspired recipes with you. I grew up on this classic musical. John Travolta and Olivia Newton John sang “Summer Nights” so much that my brother contemplated doing a tap dance on the VHS tape. (Yes. I said it. VHS tape.) Every time Danny and Sandy went on the date to the diner, I got hungry. Apparently Danny wasn’t. I mean, he only ordered a double polar burger and cherry soda with chocolate ice cream. Just a snack right? Well, something tells me that our Five Napkin Burgers might put a dent in Danny’s appetite. 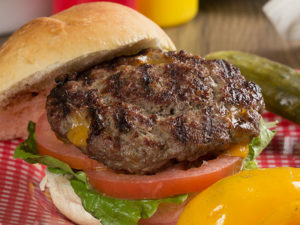 These diner-worthy burgers will make the whole family’s mouth water. 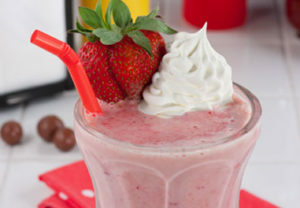 He’d be rockin’ and rollin’ to the flavors of this juicy burger–and he probably wouldn’t mind our Memory Lane Strawberry Shake–you know, just like the one Rizzo threw all over Kenicki. This classic movie pulled at my heartstrings in almost every scene. When Idgie lost her brother, Buddy, who didn’t cry? Idgie and Ruth’s friendship was so full of love, but it wasn’t always easy. The Whistle Stop Cafe, known for its fried green tomatoes, served many delicious meals. One memorable scene for me is when Idgie and Ruth get into a food fight. Blackberries are smeared everywhere! It’s a tension relief scene that shows the closeness of their friendship, and always brings a smile to my face. 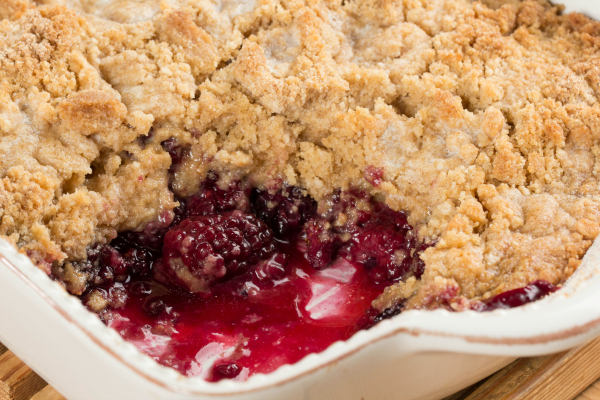 So, while you can definitely enjoy a delicious Fried Green Tomatoes recipe, try baking up a fun Blackberry Cobbler when you want that same sweet feeling to remind you of good times with your best friends. It seems almost impossible that anyone who lived through the ’90s hasn’t heard of My Cousin Vinny. This is one of my absolute all time favorite movies. Who doesn’t love the witty banter between Vinny and Lisa? The chemistry was on fire. Let’s not forget how Vinny shined when he cross examined Sam Timpton about “magic grits,” while wearing an eccentric maroon suit. I imagine the question, “Are you sure about that 5 minutes?” is rushing through your head at this very moment. It’s hard to forget! Every time I see that scene, I want grits. 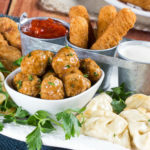 If you’ve never had them, you definitely want to try it. 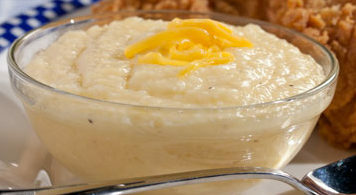 Our Cheesy Grits recipe would make Sam Timpton proud–and just like in the movie, they take 20 minutes to make. Another movie that tugs my heart strings at every turn. When Forrest loses his mother, it’s a devastating scene that requires a box of tissues on stand by. As Forrest sits on the bus bench, eating a box of chocolates, we know it’s more than just a sweet romantic gesture for Jenny, but a symbol of the mysteries life has to offer. Sometimes, those mysteries come in our favorite flavors. Other times, it’s a bit more than we can–or want–to chew. 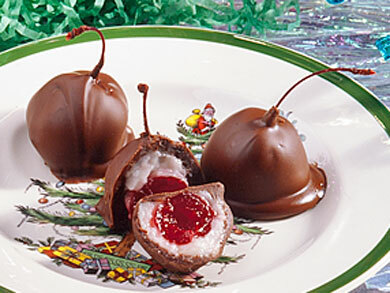 Luckily, not all chocolates are mystery flavored. When you have your own favorite recipe, you know exactly what you’re going to get. When it comes to candy, it’s hard to pick a favorite for me. I could definitely eat Candy Cane Chocolate Bark year-round, but if you’re feeling a bit more adventurous, the Cherry Cordials are so delicious and easy to make! bowl of stew that cemented the fact that Adam wanted to marry her. Milly wasn’t a pushover, and she challenged Adam at every turn. It’s a fantastic movies with plenty of music, dancing, and delicious viddles. Something tells me that Millie’s stew might just be akin to our Hearty Beef Stew. No doubt Adam, and all the Pontipee brothers would climb over the table to get a bowl. 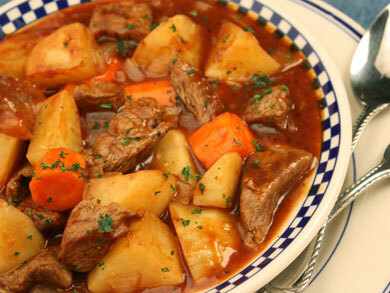 Plus, with this extremely cold winter, beef stew is a must-have recipe! What’s your favorite classic movie-inspired recipe? This was a very entertaining and cute article!